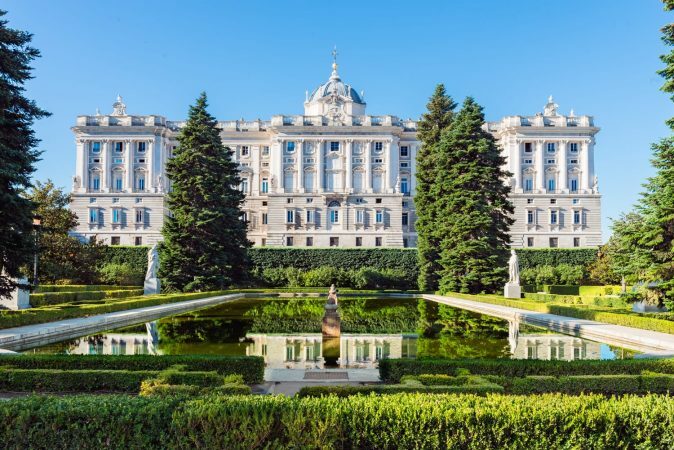 The largest royal palace in Western Europe definitely highlights the list of the best things to do in Madrid. 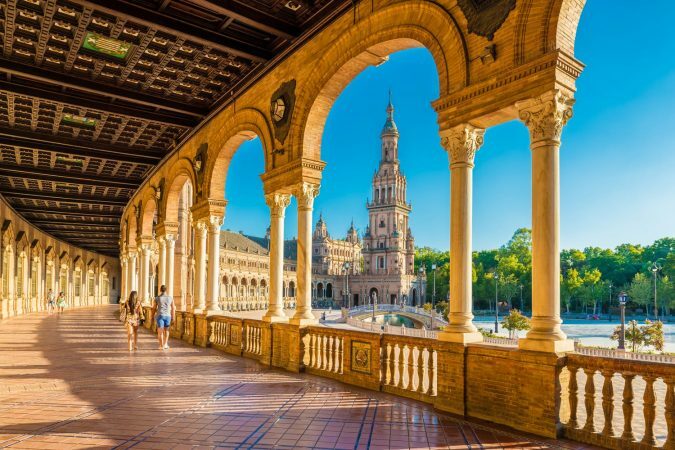 Home to Spanish kings from Charles III to Alfonso XIII, it boasts more than 3,000 rooms. 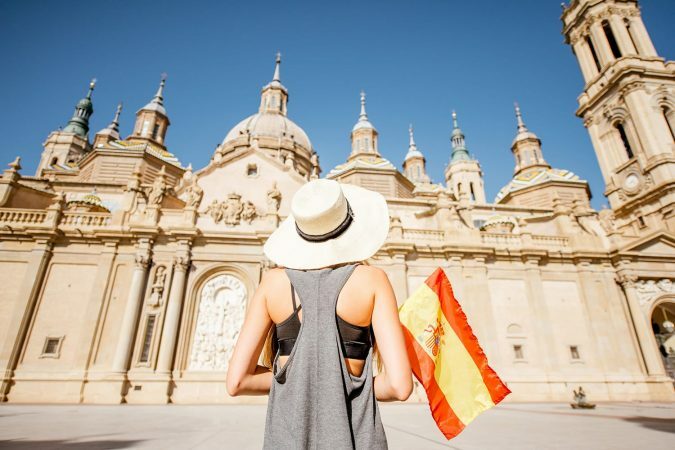 Technically it is the official residence for the Spanish Royal Family, but now it’s just used for state ceremonies and welcoming eager viewers. Along with the massive building, a huge courtyard and stunning iron gate will greet you with astonishment when you arrive. The spectacular interior includes gems like the sweeping staircase as you enter, fantastic art exhibits in the Painting Gallery, and the impressive Royal Armory which houses armor and weapons from as far back as the 13th century. When you leave, be sure you head to the side of the courtyard for an unbelievable view of the countryside. Insider Tip: If you are in town on a Wednesday make sure to check out the Changing of the Guard ceremony at the Puerta del Príncipe gate. It is definitely something you don’t want to miss. Retiro Park is my favorite place in all of Madrid. No matter what your mood or what you’re looking for, you can find it in Retiro Park. 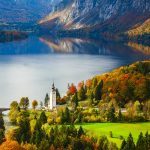 Its unique atmosphere is perfect for alone time, social time, relaxing, exercising, locals, and travelers. There’s always some sort of club gathering, friends picnicking, or runners running. And I haven’t even gotten to what makes it one of the best things to do in Madrid: the park itself! Once a royal garden, the stunning park stretches for over 300 acres, and is manicured to perfection. 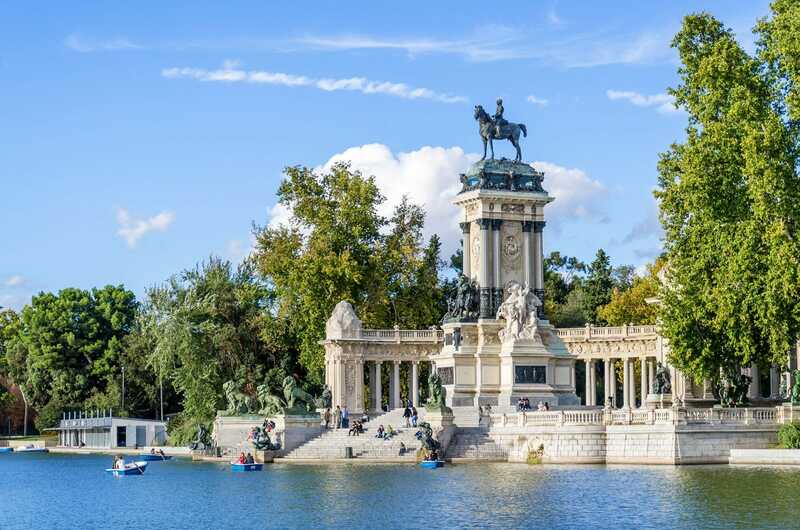 If you take a stroll, you’ll come across all sorts of beautiful monuments, most importantly the monument to Alfonso XII. This is a stunning piece of work that you can climb up and sit atop to watch the rowers rowing across the lake; you can even grab yourself a rowboat to get yourself a little exercise alongside the music that is usually playing. Museo del Prado is Madrid’s premier art gallery and attracts more tourists than any other attraction in the city. Housed in a neoclassical building, the Prado Museum displays about 2,300 pieces of art in more than 100 rooms. 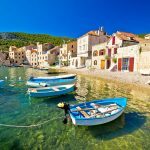 The first-class art gallery boasts many famous masterpieces and mostly includes some of the finest art created between the 12th – 19th centuries. Make sure to book your ticket in advance online so you can skip the long lines once there. 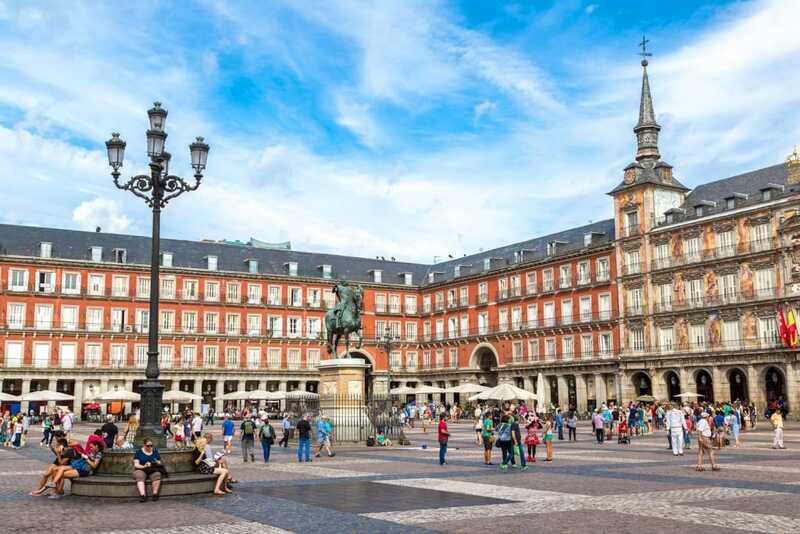 While the Prado Museum gets most of the attention, there are many other museums that deserve a spot on your list of the best things to do in Madrid. The Museo Nacional Centro de Arte Reina Sofía is renowned as Spain’s national museum of 20th-century art. The Thyssen-Bornemisza Museum is the third part of the “Golden Triangle of Art”, and this private art museum has both contemporary and historic art. With so many options at your fingertips, you could literally spend all of your time in Madrid exploring museums. Welcome to one of the world’s most prestigious fútbol stadiums. Home to Real Madrid, you’ll love the daily tours of this exciting and historic stadium. They even have tours on game days, so we recommend you check their schedule so you can put your game face on and cheer on Real Madrid after your tour! The tour is sure to impress as you get to see their dressing room, presidential box, “Best Club in History” room, and much more. You’ll even get a panoramic view of the stadium. You’ll love being a part of history as you explore the Santiago Bernabéu Stadium. You can book a tour of the Bernabeu Stadium here. Chocolate lovers, ahoy! It’s really not a surprise to know this is a popular spot for hungry stomachs. Drop a couple euros for a delicious churros con chocolate experience, and find out what Madrileños have been hiding from the rest of the world for centuries. Chocolatería San Ginés is a relic in its own right, and has been open and serving happy customers topping the list of the best things to do in Madrid since the 1800s. It’s located in a somewhat dark, hard-to-find nook of Madrid Centro, but you’ll know when you find it – the line will be out the door, especially on a cold night! Every Sunday morning Madrid hosts its very own flea market – go to the La Latina metro station and look around, you can’t miss it! El Rastro hosts countless booths for anything you could think of: flamenco fans, clothes, toys, souvenirs, food, and everything else under the sun! If you like to support local economies then this is definitely one of the best things to do in Madrid, as the vendors at El Rastro generally make their products themselves. It’s an absolutely beautiful experience, and the best place I can think of for you to get your own flamenco duds! I know what you’re thinking… A railway station? Really? Yes, really. 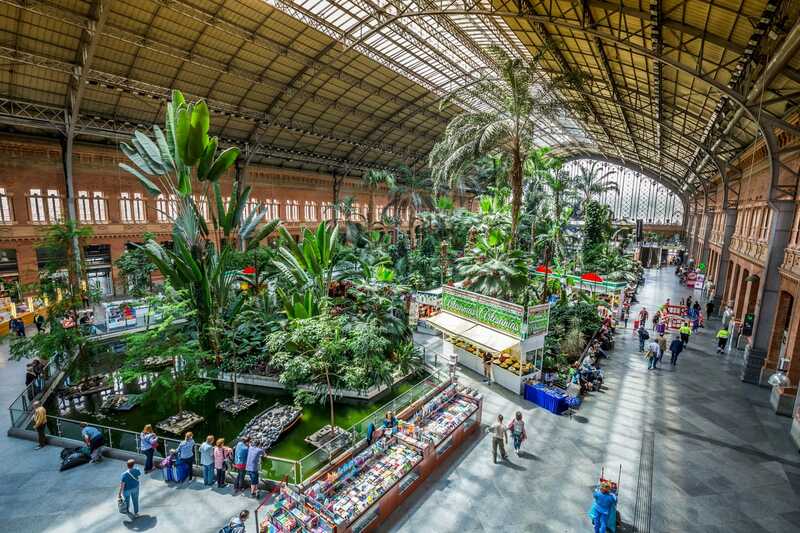 Trust me, Madrid’s Atocha Railway Station is special in a couple ways. First, its history: this is Madrid’s oldest and biggest railway station, dating back to 1851. Granted, what you see today is not its original construction, as it was taken down by a fire and rebuilt in 1892. However, if you pay attention, you can see the character in the station’s wrought iron architecture (you don’t see that every day). If not for the station’s age, size, or exterior, I’m sure you’ll fall for its interior, which is home to a rather large garden. 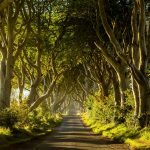 If you’re waiting between buses or trains, take a walk through the trees and breathe in the nature. Yes, this is a thing, and it’s beautiful. Enjoy it, because you’ll only find it in Madrid! Gaze at the fantastic architecture as you make your way down the Broadway of Madrid and experience all that Gran Vía has to offer. Renowned for its musicals, the street is bustling with entertainment, well-known theaters, shopping, and restaurants. 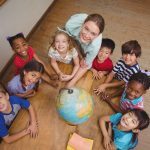 There are countless shows you can see, but some of the most popular are El Rey León (The Lion King), Sonrisas y Lágrimas (The Sound of Music), and Forever King of Pop – Michael Jackson. In addition to great musicals, there are also plenty of opera, plays, and dance performances for you to choose from. 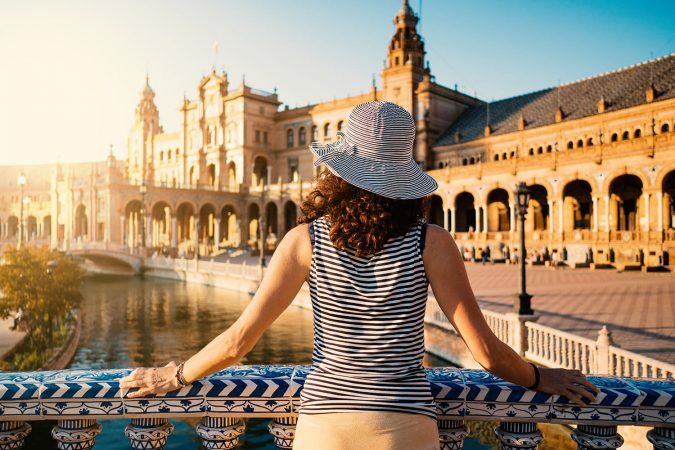 Teatro Coliseum, Teatro Rialto, and the Lope de Vega Theater are some of the better-known theaters on Gran Vía, but you’re sure to be impressed no matter which theater you choose. Let’s move on to the lesser-known attractions, shall we? 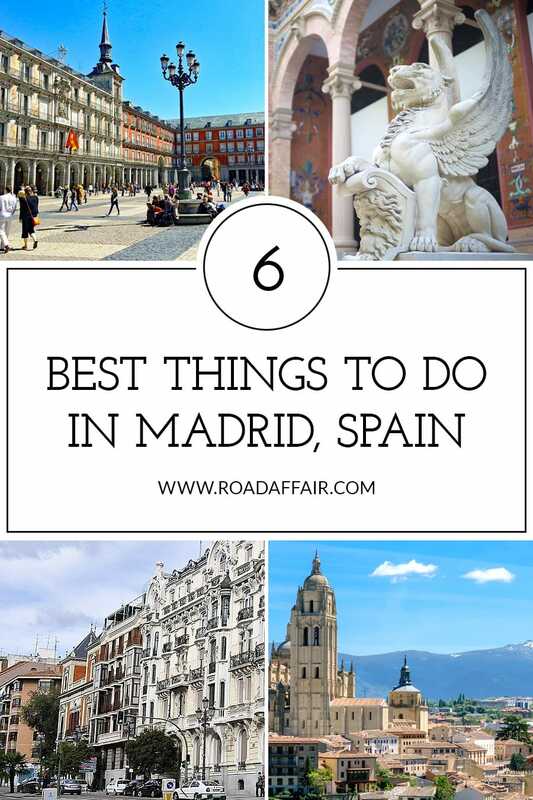 Even though it’s not as popular, it should still be at the top of your “best things to do in Madrid” list. This building, located smack dab in the middle of Madrid Centro, is home to the most beautiful view in Madrid. You’ll pay a bit of a price (ten euros to get to the roof), but if you visit at sunset you’ll forget all about it. 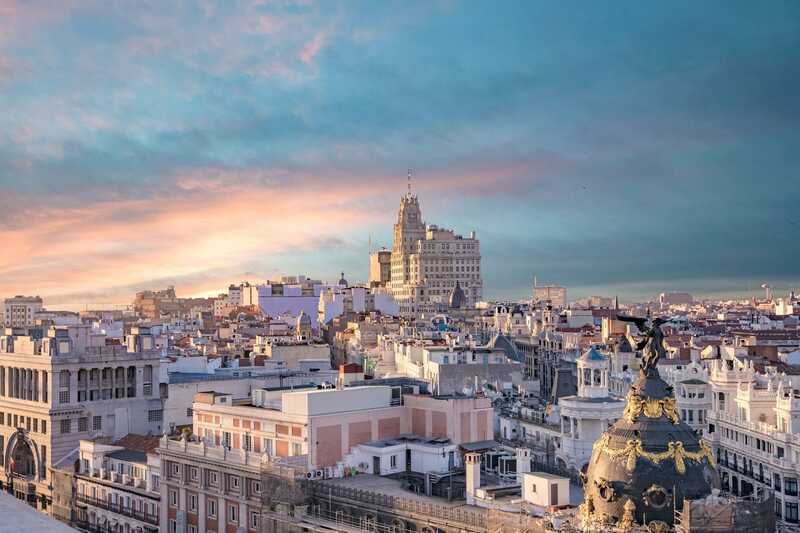 If that doesn’t satisfy you, the roof is home to a very modern bar where you can enjoy a good drink while you watch the sunset, take in the most beautiful view in Madrid, and soak in how amazing your trip is! As I said before, Madrid is just one of those places with endless things to do. While I lived there, one of my favorite things to do was walk around large places with lots of people and see what interested me. 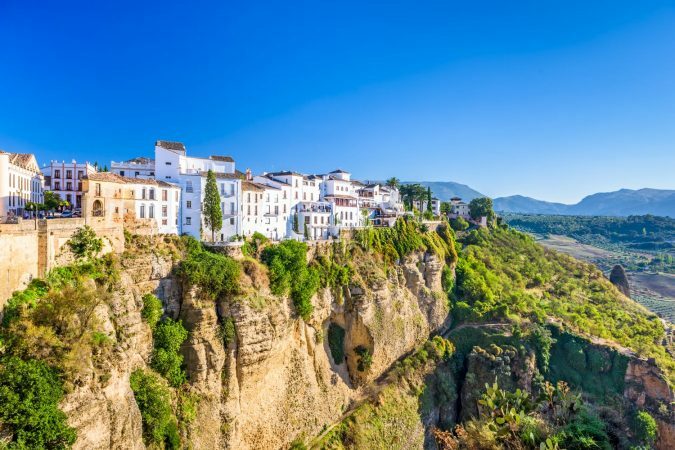 I love hearing the Spanish conversations, watching friends reunite (as Spaniards meet one another in these public places for social occasions, as opposed to meeting at someone’s house), trying the surrounding restaurants, and seeing what crazy thing is happening at that moment. For example, if you head to Plaza Mayor or Puerto del Sol, there are likely musicians, dancers, or tours going on right this minute. And you know what that means? Free entertainment! In my opinion, there’s nothing better than going to a big, ancient square, sitting around, and just watching people. 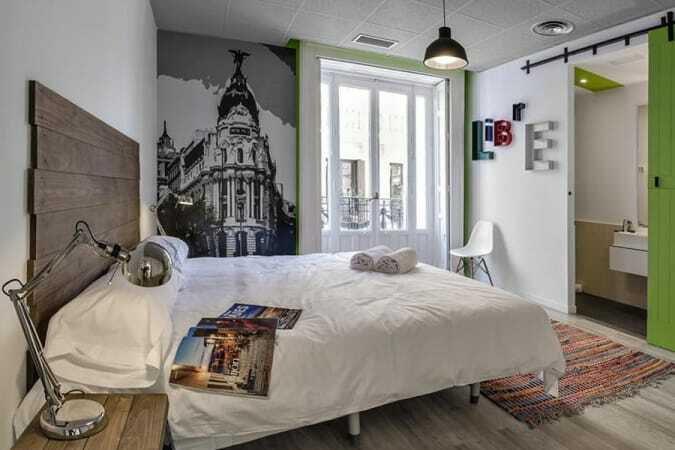 Here are our top recommendations of hostels and hotels in Madrid. All are centrally located, highly rated and have excellent facilities. Don’t forget to also take a look at Airbnb. They have many accommodation options available in Madrid, and many of them are cheaper than your average hotel. 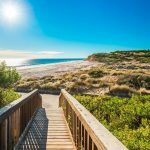 Click here to get $40 off your next booking with Airbnb. 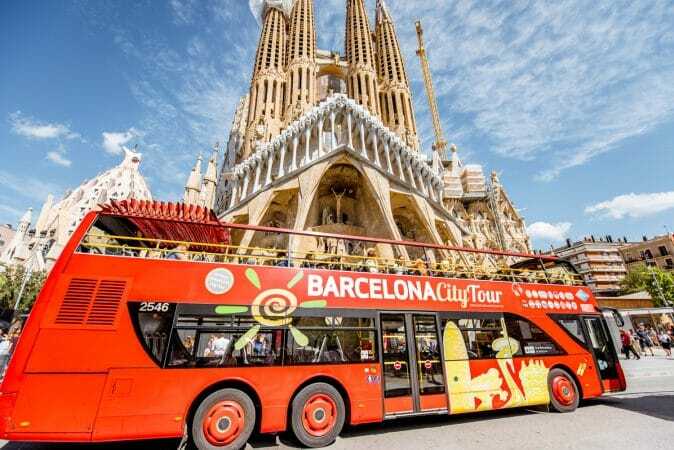 Below are some popular tours in Madrid that you might enjoy doing.